(Nashville, TN) October 30, 2018—New York Times bestselling author and in-demand corporate speaker, Andy Andrews, brings a compelling perspective in new podcast called The Professional Noticer. This insightful and often hilarious podcast is built around common sense, wisdom, and laughter—three ingredients Andrews has harnessed to produce extraordinary results for his clients throughout the years. Now, his number one client will be his listeners. After having been available for only a month, The Professional Noticer has already gathered a flock of listeners from 56 different countries. The former comedian turned author and speaker is known for revealing the depths of everyday principles to his readers by way of his books and online presence. With The Traveler’s Gift and The Noticer, Andrews has to his credit two of the most popular self-improvement novels of the past decade. Both titles were chosen as “book-of-the-month” selections all over the world, including ABC’s Good Morning America and the syndicated radio program The Dave Ramsey Show. As much as they love his books, Andrews’ legion of fans say that where he really shines is in delivering the spoken word. The Professional Noticer takes full advantage of his strong suit in a fast-paced, very funny, and sometimes touching conversation Andrews has with his listeners every week. As Andrews says, his mission is to help people, “live the lives they would if they knew how.” The podcast is a fresh way to connect with people, with the first half of the program dedicated to “observations” while in the second half, Andrews answers real-life questions sent in by the audience. Andrews is releasing a new book in the summer of 2019 titled The Bottom of the Pool: Understanding the Truth About Foundational Thinking—And Why It Matters to You (Thomas Nelson May 29, 2019, ISBN: 9780785226536). Bottom of the Pool details the unique philosophy Andy has used to help corporations double their earnings and national sports teams win championships. It includes specific stories and strategies for making key decisions to accomplish extraordinary results in every area of our lives. The Professional Noticer is available at the following locations: iTunes, Spotify, Google Play and anywhere you listen to your favorite podcast. Falling in line with Andy’s desire to engage with listeners — there will also be a studio built in Orange Beach, open for visitors and an audience. 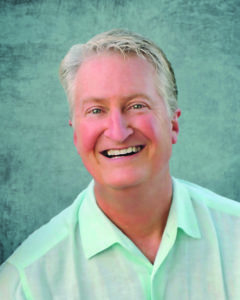 ANDY ANDREWS Hailed by a New York Times reporter as “someone who has quietly become one of the most influential people in America,” Andy Andrews is the author of multiple New York Times bestsellers including The Traveler’s Gift and The Noticer. He is also an in-demand speaker, coach, and consultant for the world’s largest organizations. Both The Noticer and The Traveler’s Gift were featured selections of ABC’s Good Morning America and continue to appear on bestseller lists around the world. His books have been translated into over 40 languages. Andy has spoken at the request of four different United States presidents, worked extensively with the Department of Defense, and regularly addresses the world’s largest corporations. Arguably, there is no single person on the planet better at weaving subtle yet life-changing lessons into riveting tales of adventure and intrigue—both on paper and on stage.